On November16, 2018, we and Government Properties Income Trust, a Maryland real estate investment trust, or GOV, each filed with the Securities and Exchange Commission, or the SEC, a definitive joint proxy statement/prospectus, or, as amended and supplemented from time to time, the Joint Proxy Statement/Prospectus, with respect to (i)the special meeting of our shareholders to be held on December20, 2018 at 3:00 p.m., at which our shareholders will be asked to, among other things, vote on a proposal to approve the previously announced merger, or the Merger, of the Company with and into GOV MS REIT, a Maryland real estate investment trust and wholly owned subsidiary of GOV, or Merger Sub, with Merger Sub as the surviving entity in the Merger, to the Agreement and Plan of Merger, dated as of September14, 2018, as it may be amended from time to time, by and among GOV, Merger Sub and the Company, or the Merger Agreement, and the other transactions contemplated by the Merger Agreement to which we are a party and (ii)the special meeting of GOV’s shareholders to be held on December20, 2018 at 1:00 p.m., at which GOV shareholders will be asked to, among other things, vote on a proposal to approve the issuance of common shares of beneficial interest of GOV in the Merger. As previously disclosed in the Joint Proxy Statement/Prospectus, four lawsuits, collectively, the Lawsuits, have been filed against the Company and each of the members of the board of trustees of the Company, and in one instance also against GOV. Two of the lawsuits, Chen v. Select Income REIT, et al., Civ. No.1:18-cv-10418-GBD, or the Chen Action, and Schwartz v. Select Income REIT, et al., Civ. No.1:18-cv-10790, or the Schwartz Action, were filed in the United States District Court for the Southern District of New York, on November9, 2018 and November19, 2018, respectively. The third lawsuit, Sinkula v. Select Income REIT, et al., Case No.1:18-cv-12389-DJC, or the Sinkula Action, was filed on November15, 2018 in the United States District Court for the District of Massachusetts. The Chen Action, Schwartz Action and Sinkula Action claim that the Joint Proxy Statement/Prospectus fails to disclose certain material information related to the Merger. The fourth lawsuit, Scarantino v. Fraiche et al., or the Scarantino Action, was filed in the Circuit Court for Baltimore City on November16, 2018. The Scarantino Action primarily alleges that the members of the Company board of trustees breached their fiduciary duties to the Company’s shareholders by, among other things, purportedly failing to disclose certain material information relating to the Merger in the Joint Proxy Statement/Prospectus. We and GOV continue to believe that all allegations in the Lawsuits are without merit. However, we and GOV wish to make certain supplemental disclosures related to the Merger and the other transactions contemplated by the Merger Agreement solely for the purpose of mooting the allegations contained in the Lawsuits and avoiding the expense and burden of litigation. Nothing in the supplemental disclosures shall be deemed an admission of the materiality under applicable law of any of the supplemental disclosures. Important information concerning the Merger and the other transactions contemplated by the Merger Agreement is set forth in the Joint Proxy Statement/Prospectus. The Joint Proxy Statement/Prospectus is amended and supplemented by, and should be read as part of, and in conjunction with, the information set forth in this Current Report on Form8-K. Following the adjournment of the SIR board of trustees meeting, Donna D. Fraiche, William A. Lamkin and Jeffrey P. Somers, comprising all of the independent trustees of SIR, and representatives of Skadden met in executive session to further discuss the Merger and the other Transactions and the SIR special committee’s process with respect to evaluation and negotiation of the Merger and the other Transactions. American Realty Capital Trust IV,Inc. Cole Credit Property Trust II,Inc. American Realty Capital Trust III,Inc. UBS calculated a range of implied present values (as of June30, 2018) of the standalone unlevered free cash flows that SIR excluding ILPT was forecasted to generate from June30, 2018 through the end of fiscal year 2021 and of terminal values for SIR excluding ILPT. UBS calculated unlevered free cash flow as SIR excluding ILPT’s Adjusted EBITDA, less capital expenditures and leasing costs, less redevelopment costs, less non-cash rents, non-cash expenses and equity in earnings of investees and other non-cash adjustments, less general and administrative expenses paid in common shares, less state, local and franchise taxes. Based on the foregoing calculations, UBS calculated the unlevered cash flow for SIR excluding ILPT from June30, 2018 through the end of fiscal year 2021 of $50 million, $155 million, $169 million and $186 million, respectively. Implied terminal values of $2,654 million to $3,097 million were derived by applying to SIR excluding ILPT’s estimated 2022 Adjusted EBITDA a range of forward multiples of 12.0x to 14.0x. Present values of cash flows and terminal values were calculated using discount rates ranging from 7.5% to 8.5%, based on a range of SIR excluding ILPT’s weighted average cost of capital estimated by UBS (derived by utilizing the capital asset pricing model). UBS selected the range of forward multiples and discount rates based on its professional judgment and expertise. cash flow analysis resulted in a range of implied equity values for SIR excluding ILPT of $10.31 to $14.97 per SIR Common Share. UBS calculated a range of implied present values (as of June30, 2018) of the standalone unlevered free cash flows that GOV excluding a certain property of GOV was forecasted to generate from June30, 2018 through the end of fiscal year 2021 and of terminal values for GOV. UBS calculated unlevered free cash flow as GOV’s Adjusted EBITDA before Secondary Sale, less capital expenditures and leasing costs, less redevelopment costs, less non-cash rents and other non-cash adjustments, non-cash expenses and equity in earnings of investees, less general and administrative expenses paid in common shares, less state, local and franchise taxes, less cash flows associated with the certain property of GOV, plus net proceeds from asset sales. Based on the foregoing calculations, UBS calculated the unlevered cash flow for GOV from June30, 2018 through the end of fiscal year 2021 of $536 million, $84 million, $107 million and $105 million, respectively. Implied terminal values of $2,386 million to $2,828 million were derived by applying to GOV’s estimated 2022 Adjusted EBITDA before Secondary Sale a range of forward EBITDA multiples of 13.5x to 16.0x. Present values of cash flows and terminal values were calculated using discount rates ranging from 7.0% to 8.0%, based on a range of GOV’s weighted average cost of capital estimated by UBS (derived by utilizing the capital asset pricing model). UBS selected the range of forward EBITDA multiples and discount rates based on its professional judgment and expertise. UBS then added the present value of a certain property of GOV, calculated based on the unlevered free cash flows that the property was forecast to generate through to the end of fiscal year 2026 to capture the fully stabilized financials from the repositioning of the property, and utilizing a range of forward multiples of 13.5x to 16.0x and discount rates ranging from 7.0% to 8.0%. UBS then added to the range of present values it derived for GOV the market values of the shares of classA common stock of RMRInc. and SIR Common Shares owned by GOV of $114 million and $499 million, respectively, based on the closing prices of such shares as of September12, 2018 and then subtracted the net debt of $2,125 million as of June30, 2018. The discounted cash flow analysis of GOV resulted in a range of implied equity values of $12.21 to $16.82 per GOV Common Share. UBS calculated a range of implied present values (as of June30, 2018) of the unlevered free cash flows that the pro forma combined company excluding a certain property of GOV was forecasted to generate from June30, 2018 through the end of fiscal year 2021 and of terminal values for the pro forma combined company, including certain cost savings estimates totaling approximately $3.1 million per annum prepared by the management of SIR. expenses paid in common shares, less state, local and franchise taxes, less: cash flows associated with the certain property of GOV, plus net proceeds from asset sales. Based on the foregoing calculations, UBS calculated the unlevered cash flow for the combined company from June30, 2018 through the end of fiscal year 2021 of $588 million, $241 million, $280 million and $294 million, respectively. Implied terminal values of $5,114 million to $6,016 million were derived by applying to the pro forma combined company’s estimated 2022 Adjusted EBITDA before Secondary Sale a range of forward EBITDA multiples of 12.75x to 15.0x. Present values of cash flows and terminal values were calculated using discount rates ranging from 7.0% to 8.0%, based on a range of the pro forma combined company’s weighted average cost of capital estimated by UBS (derived by utilizing the capital asset pricing model). UBS selected the range of forward EBITDA multiples and discount rates based on its professional judgment and expertise. UBS then added the present value of a certain property of GOV, calculated based on the unlevered free cash flows that the property was forecast to generate through to the end of fiscal year 2026 to capture the fully stabilized financials from the repositioning of the property, and utilizing a range of forward multiples of 13.5x to 16.0x and discount rates ranging from 7.0% to 8.0%. UBS then added to the range of present values it derived for the pro forma combined company the market values of the shares of classA common stock of RMRInc. and SIR Common Shares owned by SIR and GOV of $262 million and $499 million respectively, based on the closing prices of such shares as of September12, 2018 and then subtracted the net debt of $3,826 million as of June30, 2018 and estimated transactions fees and expenses of approximately $42.0 million as provided by the management of SIR. The discounted cash flow analysis of the pro forma combined company resulted in a range of implied equity values of $11.87 to $16.72 per SIR Common Share. For the services described in clauses (i)through (vi)above, UBS and its affiliates received during such two-year period aggregate fees of approximately $6 million from GOV, $7 million from ILPT, $1 million from RMR Inc. and less than $1 million from SIR. In connection with the Merger and the other transactions contemplated by the Merger Agreement, GOV has filed with the SEC a registration statement on FormS-4 containing the Joint Proxy Statement/Prospectus and other documents with respect to the Merger and the other transactions contemplated by the Merger Agreement. INVESTORS ARE URGED TO READ THE JOINT PROXY STATEMENT/PROSPECTUS (INCLUDING ALL AMENDMENTS AND SUPPLEMENTS THERETO) AND ANY OTHER DOCUMENTS FILED OR TO BE FILED WITH THE SEC IN CONNECTION WITH THE MERGER OR INCORPORATED BY REFERENCE IN THE JOINT PROXY STATEMENT/PROSPECTUS BECAUSE THEY CONTAIN AND WILL CONTAIN IMPORTANT INFORMATION ABOUT THE MERGER AND THE OTHER TRANSACTIONS. The Joint Proxy Statement/Prospectus has been mailed to GOV’s and our shareholders. 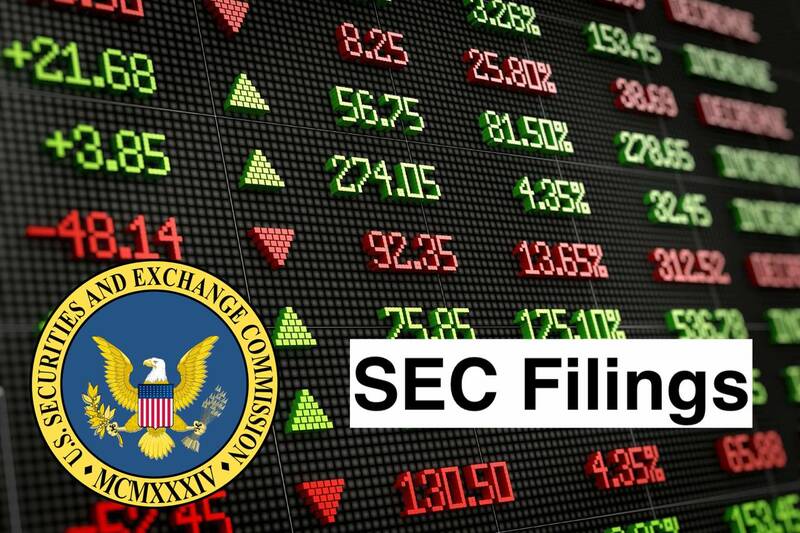 Investors may obtain free copies of documents filed with the SEC at the SEC’s website at www.sec.gov. In addition, investors may obtain free copies of GOV’s filings with the SEC from GOV’s website at www.govreit.com and free copies of our filings with the SEC from our website at www.sirreit.com. GOV, its trustees and certain of its executive officers, we, our trustees and certain of our executive officers, and The RMR Group LLC, The RMR Group Inc. and certain of their directors, officers and employees may be deemed participants in the solicitation of proxies from GOV’s shareholders in respect of the approval of the issuance of GOV common shares of beneficial interest in the Merger and from our shareholders in respect of the approval of the Merger and the other transactions contemplated by the Merger Agreement to which we are a party. Information regarding the persons who may, under the rulesof the SEC, be considered participants in the solicitation of GOV’s and our shareholders in connection with the Merger and the other transactions contemplated by the Merger Agreement is set forth in the Joint Proxy Statement/Prospectus for the Merger filed with the SEC. You can find information about GOV’s trustees and executive officers in its definitive proxy statement for its 2018 Annual Meeting of Shareholders. You can find information about our trustees and executive officers in our definitive proxy statement for our 2018 Annual Meeting of Shareholders. These documents are available free of charge on the SEC’s website and from GOV or us, as applicable, using the sources indicated above. · WE AND GOV BELIEVE THAT THE ALLEGATIONS CONTAINED IN THE LAWSUITS ARE WITHOUT MERIT. NONETHELESS, LITIGATION MAYBE DISTRACTING TO OUR MANAGEMENT AND EXPENSIVE, AND THIS DISTRACTION AND EXPENSE MAYCONTINUE. THE INFORMATION CONTAINED IN OUR FILINGS WITH THE SEC,INCLUDING UNDER THE CAPTION “RISK FACTORS” IN OUR ANNUAL REPORT ON FORM10-K FOR THE YEAR ENDED DECEMBER 31, 2017 AND THE JOINT PROXY STATEMENT/PROSPECTUS,IDENTIFIES OTHER IMPORTANT FACTORS THAT COULD CAUSE OUR ACTUAL RESULTS TO DIFFER MATERIALLY FROM THOSE STATED IN OR IMPLIED BY OUR FORWARD LOOKING STATEMENTS. OUR FILINGS WITH THE SEC ARE AVAILABLE ON THE SEC’S WEBSITE AT WWW.SEC.GOV.